Ready to amp up your ride? 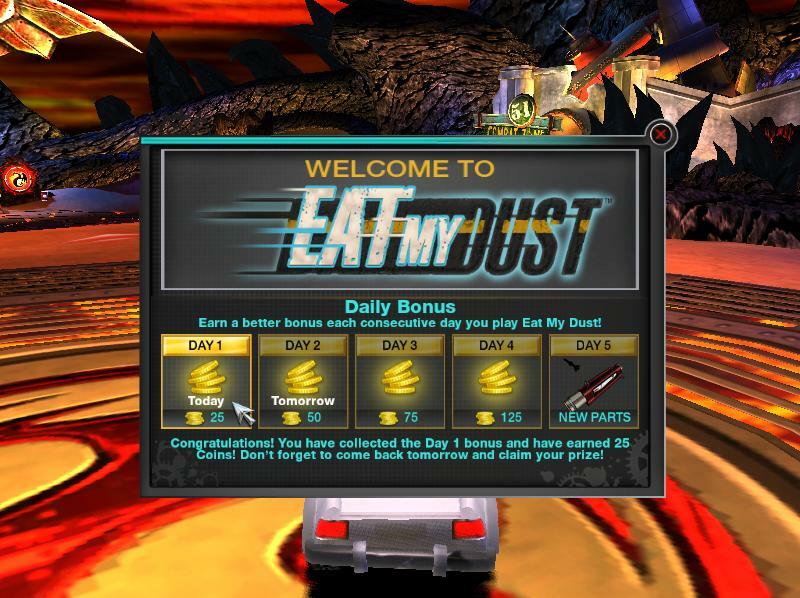 Because the more you hit the road, the more rewards you’ll be earning in Eat My Dust. Now, you and your buddies have the chance to win some major prizes and all you need to do is log in and play! Start your engines on consecutive days and watch as your daily prize values increase from coins to new parts and even a few awesome weapons. Sounds easy, right? That’s because it is! What are you waiting for? Jump behind the wheel and collect your bonus today! 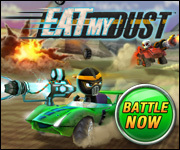 With all there is to customize in Eat My Dust, a few coins can go a long way in winning you races or fighting off zombies. And we’ve even added a Facebook share button to get your buddies talking about your latest EMD winnings. 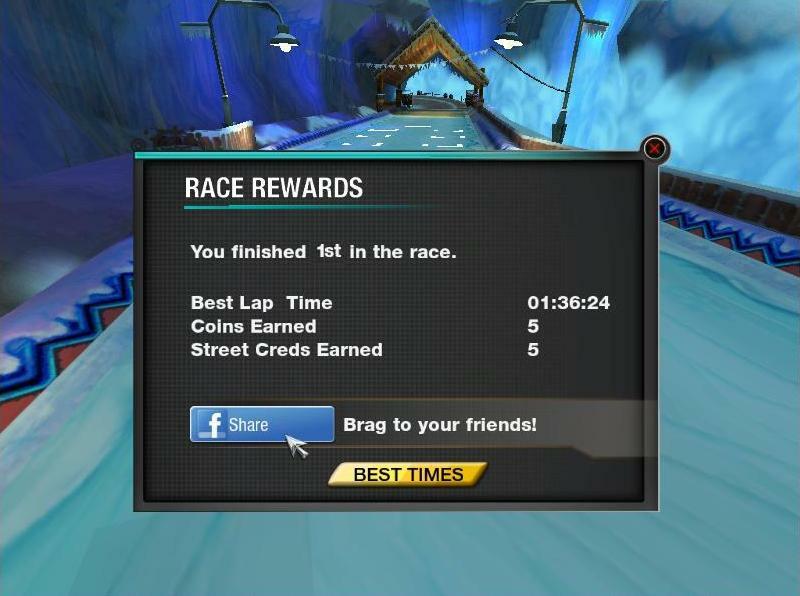 Check it out and let us know how often you’ve been hitting the tracks!